Let’s find out with our Barca player ratings. Ter Stegen 6. Had no chance with the opener. A wobbly moment when he misplaced a clearance outside the box. Semedo 7. Preferred to Sergi Roberto at right back. Battled hard in an even fight with Vinicius and was progressive coming forward. Alba 6. Starved of Messi’s service, he was far less influential than usual but bounded forward to tee up the equaliser. Rakitic 5. Made a sloppy start and continued to labour. Thumped a first half header against the bar but was replaced. Busquets 6. Applied calm control in possession but sometimes struggled without the ball, especially early on. Arthur 7. Couldn’t get involved during the early stages but soon helped Barca up the tempo, retaining possession under pressure. 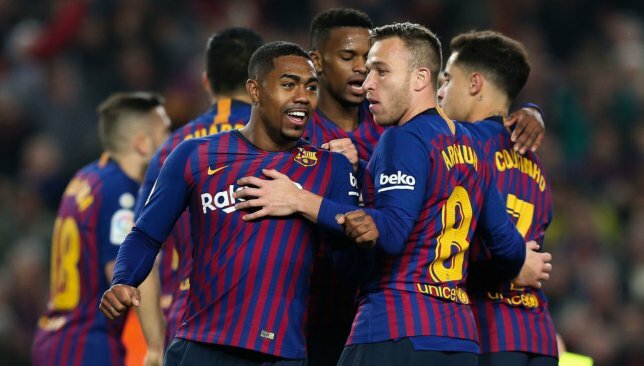 Malcom 8. Replaced Messi and was full of endeavour. Capped fine display with well-taken equaliser before hobbling off. Suarez 6. Often frustrated but still came close with a low curler in the first half and hit the post to set up the leveller. Coutinho 4. Peripheral presence, struggling to make any impact except a couple of harmless long-range shots. Replaced by Messi. Vidal 6. Replaced Rakitic in midfield. Threw himself into the game and, unsurprisingly, was booked for fouling Casemiro. Messi 6. Entered to a hero’s welcome after an hour, and produced some threatening moments but nothing decisive. Alena 6. Barca’s last sub, coming on for Malcom on the left flank. Showed good energy and looked comfortable. Sometimes words spoken or written can come back to haunt you. In the case of Santiago Solari, he may never have anticipated a 2012 column written for El Pais would resurface at a rather inopportune time. Ahead of three El Clasicos within a month, words from the Real Madrid boss on a certain Lionel Messi have been dug up. In it, the Argentine offers a glowing tribute to the Barcelona icon and even suggests his compatriot is on a different level to eternal rival Cristiano Ronaldo. “Scoring is intrinsic to Messi in the same way that storms, lightning or hurricane wins are atmospheric phenomena,” he wrote. 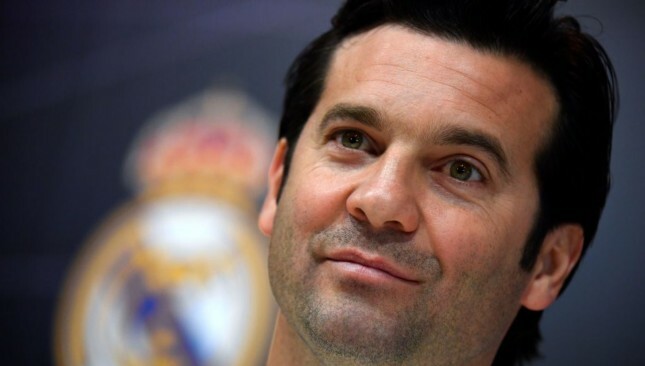 Solari will be witnessing first hand the magic of Messi when he takes in his first Clasico clash as head coach. Messi is an injury doubt for the Copa del Rey semi-final first leg on Wednesday but should he not make the Camp Nou fixture, he will be back for the return leg and La Liga game in the next few weeks. 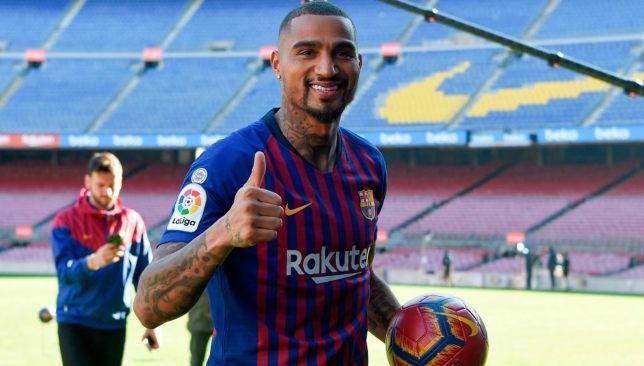 Barcelona’s new signing Kevin-Prince Boateng became the latest player to shower praise on Lionel Messi. The 31-year-old was a surprise January signing for the Camp Nou side, and he made his debut for the Catalan club in their 2-0 defeat to Sevilla in the Copa del Rey quarter-final first leg last month. The former AC Milan man is awed by the Argentine’s brilliance and admitted that playing against the five-time Ballon d’Or winner is very difficult. “I can honestly tell you that playing against Messi is very difficult,” Boateng told La Vanguardia, according to Marca. The forward also spoke about how he has changed the manner in which he looks at things throughout his career. “When I was young, I was crazy. At 18 years old, I thought I was the boss in my neighbourhood because I had money,” he revealed. “Then I had a child and it made me mature and without that happening, I wouldn’t have played for teams like Milan or Barcelona. “I now weigh 83 kilos but there was a point when I was 95. In London, I was 20 years old and you go out partying and eat badly.